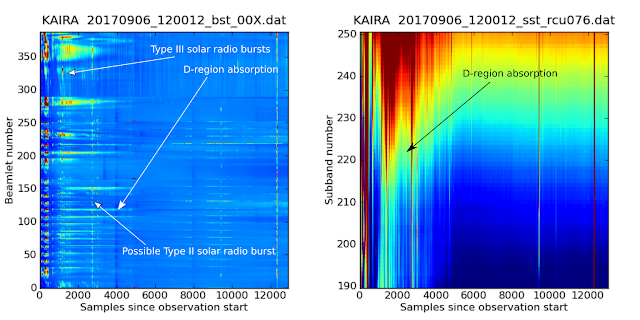 Solar radio Type II and III radio bursts and D-region absorption on 6th of September, seen on the KAIRA realtime display. The Sun has been recently quite active. On the 6th, there was an X9-class solar flare, which produced loads of D-region absorption due to increased X-ray flux. 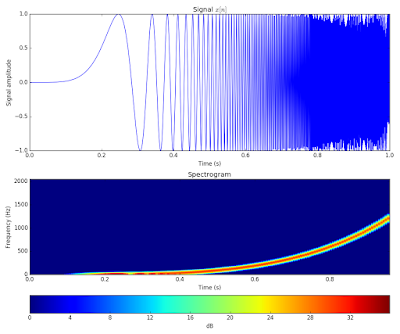 There was also solar radio burst activity, including Type III emissions and possibly a Type II emission. 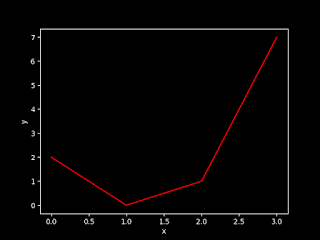 The above plot is a screenshot from the KAIRA realtime display, which shows beamlet statistics and D-region absorption measured on one of the RCUs.